EDC's San Diego: Life. Changing. campaign is all about telling San Diego’s authentic story. Besides our impressive new technologies and literally life-changing scientific breakthroughs, there’s nothing more innately San Diego than our delicious craft beer. EDC has partnered with Ballast Point to create a special Made in San Diego craft brew, exclusively available in San Diego County. Just like our campaign, this beer is made for San Diego, by San Diego. Ballast Point has been an integral part of the San Diego community for more than 20 years. It was founded here in 1996 as a home brew shop, and with the support of its community, Ballast Point has grown into the global craft beer giant that it is today. As a way to give back to its hometown that has given it so much, Ballast Point will donate a portion of every case sold to a new fund created by EDC’s foundation, to support local entrepreneurs that share the same dream of growing their business right here in San Diego. The Made in San Diego beer features the same level of innovation, quality, and flavor that embody San Diego and Ballast Point. With packaging that pays homage to the vibrant cities and neighborhoods across the San Diego region, it's an easy-drinking Kolsch that features toasted bread aroma and flavor from Munich malt and a soft bitterness from Cascade and Mosaic hops. The beer cans also feature the San Diego: Life. Changing. brand mark, as a proud partner of our campaign. Made in San Diego beer will be available on draft throughout San Diego County later this month, with six-pack 12 oz. cans rolling out region-wide at the end of May. 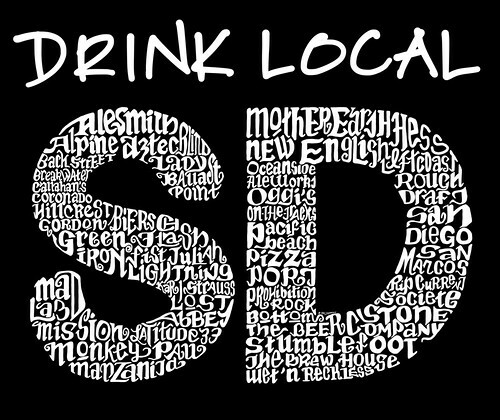 Raise a glass with us, and visit MadeinSD.com to learn more about this #SDlifechanging partnership. The story of the San Diego region is one of collaboration. This means when events take an unexpected turn, we can lean on one another to move the region forward. We have companies - that many would perceive as competitors - working together to secure San Diego’s cyber infrastructure. We have public/private collaborations working to increase the region’s global footprint. We have everyone from entrepreneurs to Fortune 500 companies looking to invest in the region. And we have a strong group of universities that are working together to produce one of the most talented workforces in the nation. “Good News” is all around us. For the second year in a row, we've compiled a list of some of the greatest moments of the year. As 2013 draws to an end, let’s reflect on the remarkable accomplishments across our entire mega-region, and raise a toast (preferably a San Diego craft beer) to another year of positive headlines. San Diego has emerged as an Unmanned Systems hub. Recognizing the talent and opportunities present in the region, Defense innovator Northrop Grumman designated San Diego its Unmanned Systems Center of Excellence. The designation meant 300 more jobs at the company's Rancho Bernardo location. A great city needs a great library. With the completion of the San Diego Central Library, San Diego residents now have a library they are proud of. The new East Village location boasts local art installations, an expanded career center, a charter school, and more workspace, in in a visually stunning iconic building. We live in the most inventive region in the U.S. Although we've tried not to focus on rankings, this is one we simply can't ignore. In July, the Organization for Economic Co-Operation and Development released its ranking of the world's most inventive cities. Second on the list - right behind Eindoven, Netherlands - was San Diego. The city claims 8.9 patents for every 10,000 residents, thanks to companies such as Qualcomm. As the U.S. and Mexican governments launch a new initiative to build stronger business ties across the border, they are looking at San Diego's Cali Baja Bi-national Mega-Region as a model for finding ways that industry clusters in both countries can work together. Many examples show the strength of the mega-region, but it's the new cross border terminal that has grabbed headlines recently. Border infrastructure has been improving, and the new cross border terminal will allow travelers from San Diego and Tijuana to hop on flights out of the neighboring cities. Improvements at the airport have finally landed. The San Diego International Airport's Green Build expansion culminated in August ahead of schedule and under budget. The stunning new new terminal features 10 new gates, pet-friendly amenities, extensive public art displays and is infused with local dining favorites so travelers can get a taste of San Diego while they wait. The United States defense strategy has deemed that a Pivot to the Pacific, aligning defense resources with the Pacific Rim, is a crucial foreign policy strategy. Because of San Diego's location and existing military footprint, this meant the region was well-positioned, despite sequestration, to gain valuable resources. The USS Reagan and its 2,500 person crew returned to San Diego after a year in maintenance. The USS Vinson, and its 6,000 plus crew, also returned to its port in San Diego. According the SDMAC Military Economic Impact Study, the two aircraft carriers home ported here will each add about $500 million to the economy. San Diego may never be Hollywood (we're fine with owning technology and innovation), but a few features have put the region on the map. The year started with 'Inocente', a story about a homeless San Diego teen, becoming the first Kickstarter backed movie to win an Oscar. Fans turned to Kickstarter again to fund a film version of 'Veronica Mars,' a series that chronicles the life of a teenage San Diego detective. The trailer premiered at Comic-con in July. Although San Diego's favorite fictional news team may not have been backed by Kickstarter, with the release of Anchorman 2, the phrase "Stay Classy, San Diego" worked its way back into lexicon this year. San Diego's top tier universities are essential for priming a talented workforce that helps push the economy forward. When President Obama announced his BRAIN initiative in April, UC San Diego Chancellor Pradeep K. Khosla. was invited to Washington. Given its strong cognitive sciences program, the university - which raked in more than $1 billion in research funding this past year - will be one of the academic institutions leading the charge. Cal State San Marcos welcomed its biggest class and held true to its 'vet' friendly reputation. San Diego State University found itself among the nation's highest ranked universities in terms of affordability and ROI, which may be one of the reasons it recently announced a record number of applicants for 2014. Point Loma Nazarene has been identified as one of the best value private colleges in the U.S. University of San Diego's part time MBA programs broke the Top 20 on BusinessWeek's list. Online education pioneer Ashford University partnered with Forbes to create cutting-edge materials for its Forbes School of Business. National University, a leader in policy research, has partnered with EDC and other regional organizations on studies to quantify the sports and active lifestyle and cybersecurity clusters. 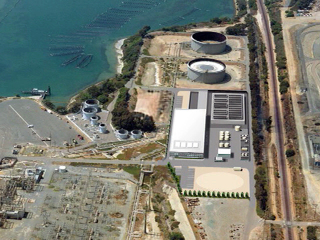 Construction on the largest desalination plant in the western hemisphere began in early 2013. The construction of the plant will provide more than 2,300 jobs and will sustain 575 jobs when it is completed in 2016. Not only does the Carlsbad facility employ ground-breaking local technologies, but it also promises to transform about 50 million gallons of seawater into drinking water each day, which will meet 7 to 10 percent of San Diego’s water needs. Last fall, San Diego was selected as one of eight U.S. cities to participate in the Brookings Metropolitan Exchange Initiative, a project that helps regions implement customized export plans. In May, a collaborative made up of representatives from the Port of San Diego, San Diego Regional Airport Authority, UC San Diego, JP Morgan Chase and others came together to release a market assessment, the first phase in delivering a plan. Since then, working groups have been addressing infrastructure, talent, small and medium-sized enterprises, and market diversity to come up with a plan to boost the region's exports. The collaborative will release the final export plan - which will help with the region's overall global competitiveness strategy - in early 2014. Look out Munich, we're nipping at your heels. The San Diego region, which is home to more than 70 craft breweries, is commanding a growing percent of the nation's craft beer production. The region embraced its craft beer culture, with places like the Airport integrating beer into in the region's identity. From Men's Journal to The New York Times, people worldwide are also catching wind of breweries such as Stone, Ballast Point, Karl Strauss. This year, the industry hosted its first "SD Craft Beer Hospitality and Tourism Summit" to talk about how San Diego can propel its image as a premier craft beer destination forward.